On May 16th we passed $500,000 in loans. As of today we are over $540,000 in total loans!! 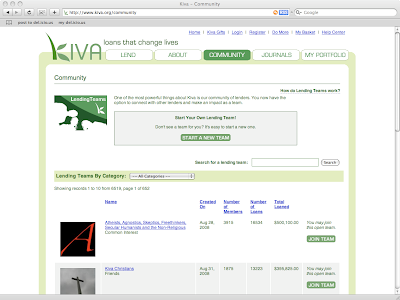 We now have 4000 members, welcome to all the new members and thanks to all the loyal members who make this the best lending team on Kiva! On another note, we are now taking polls of the membership. Thanks to Lynn, Lo, Judy and Brian. Our first poll is at the top right of the site.